well, i can start out by introducing myself i suppose. i am new to the site but have been reading it inside and out for quite a while now. 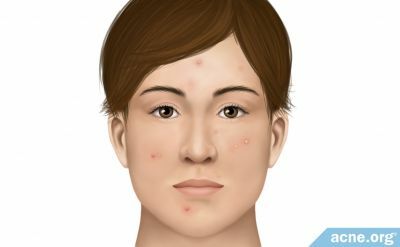 i love that there is a place where people can share their experiences in dealing with this monster called acne. this monster has plagued me since i was a sophomore in high school. to be more specific, i have dealt with white heads, black heads, normal pimples (the ones that actually hurt) and a few cystic pimples from time to time. i am just out of college now, and in the time between my first outbreak and now i have tried a lot of products. to give you some idea, i used proactiv, murad, neutrogena, clean and clear, and some doctor prescribed topicals. it is very depressing when going from product to product, because i would get my hopes up thinking that this product could be the one. it's funny now watching the murad advertisement on tv. i was absolutely sold listening to the Dr. explain how the product soothes skin and gives you an incredible acne free skin tone. i would look forward to watching it again and again cause it gave me hope that there was finally something like this on the market. but again, disappointment. i cannot watch the commercial without feeling sick to my stomach, because i know how many people will see it, buy it, and feel what i felt: shock, dispair, even a sense of betrayal. i thought it was impossible to be rid of acne, while gaining an even, matte like skin tone. this is going to sound very strange, considering i'm male, but it's almost as if i have some sort of mineral foundation on, without looking like i'm wearing makeup. when i look in the mirror i cannot believe what i am seeing. it's a little strange, but i still don't like people looking at my face. when you have suffered so long with it, it's difficult to believe that your skin is clear. even knowing that there are no signs of acne on my face, i am scarred emotionally after years of suffering. i'm going to shut up now and just say what i'm doing, cause i don't want this to drag on too long. after the shower i dry my face and immediately apply the green tea toner. celestial seasonings is great, but any green tea will do. i brew enough tea to fill a Glad container. in the tea i use TEN tea bags. this gives a very strong concentration of the tea to your face. the green tea is loaded with anti oxidants and anti bacterial/anti inflammatory properties in case you didn't know. i've heard of others using paper towels to apply this, and honestly it doesn't seem like something i'd ever try, but it works very effectively. it doesn't fall apart on me and you can get a lot of toner on your face easily. but i apply the toner very generously to my face and neck. i take very short showers because i don't like the drying affect water has on my face after a twenty minute shower. Thats really good stuff whirly bird! Iam surprised no one replied to this post yet but it caught my eye really quick since theres so much good feedback on sea salt and green tea and acne in general. I tried this regiment tonight so we'll see what results I get but I do have some questions for you though. First, how large is the size of the container that you use and if you could let me know approximately how many ml of water to number of table spoons of salt, just so I can get a good estimate.Second, when you brew the tea I assume you continue to use the same batch for 3-4 days to a week and then brew again and if so how should you store the tea(fridge or not).Thanks for sharing! I've been using sea salt for months and I love it...but the green tea has made such an enormous difference! I used Celestial Seasonings Blueberry Breeze green tea, because that's the only one I had and I figured the blueberry and hibiscus stuff in it couldn't hurt. And it is AMAZING! All the little clogged pores on and around my nose that urge me to pick incessantly are disappearing! My skin glows and minor imperfections are starting to fade. It hasn't seemed to help much with my scars, but my skin looks far more even. Sea salt huh? I feel like this wouldn't be enough for my stubborn skin, but i'm tempted to try it. I should have made it more clear as to what size container i'm using, sorry! The containers hold about three cups of liquid. So that's ten tea bags for every three cups of water and 3/4 cup of salt for every three cups of water. Hopefully that is a little more clear! Hey, thanks for this! This seems like a real natural way to cure acne. And super smart. I'm kind of losing hope right now...but I will give this a go for a few months. Thanks for sharing. Thanks for the mail bird. Now this does sound very interesting, but mind me saying? How long would it take to heal up & get rid? Thanks for the info whirly bird, will definitely try this regimen! Just one question, will it help in reducing the oiliness of the face? coz my face is an oil factory. Thank you for the quick reply and good wishes! Really needed them. I might as well look into this too to try, i am willing to try new regimens that have worked for others that i have yet to try. A few questions thou. How long do you shake the container for? Do you have to heat it back up thou before u apply it on your face? I was looking at buying the stuff to do this yesterday but was wondering if it matters what tea you use? Should I get caffinated or non-caffinated?